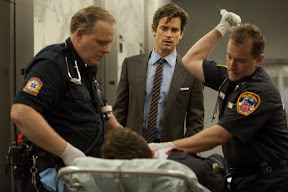 The status of picture perfect pretty boy thief Neal Caffrey (Matt Bomer) has changed from that of illusive conman the FBI’s White Collar Crimes Division most wanted to arrest to the New York City branch’s most valuable case-closing asset in a little over a year on Jeff Eastin’s sophisticated USA Network original series. 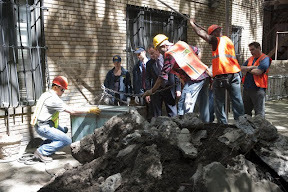 Equally at home on both sides of the law, in Collar ’s sophomore season Caffrey uses his criminal know-how and Cary Grant charisma for good or the lesser of two evils – depending on the role he’s been given – in each weekly Charade while continuing his To Catch a Thief work alongside Peter Burke (Tim DeKay), the only G-man clever enough to have captured him not once but twice. High class escapist fare for the sophisticated viewer, White Collar plays like the equivalent of a summer vacation page-turner best read on the beach that’s been adapted for the small screen by the PBS Masterpiece Theater writers’ room and directed by Alfred Hitchcock as if it marked the first collaboration between obvious Caffrey inspiration Cary Grant and The Rat Pack . Quite possibly the only scripted cable series where you’ll hear a word like “schadenfreude” casually inserted into a sentence – like a thief creating a diversion to get away with a Raphael painting, Collar relies on intelligence and taste to distract us from occasional gaps in logic. Name-dropping historical figures in one scene before following it up with a pop culture reference in the next – far from sounding like a New York Times Sunday crossword puzzle read aloud – the writers balance out the dialogue-driven Collar to keep things moving, overcoming formulaic shortcomings in the process. 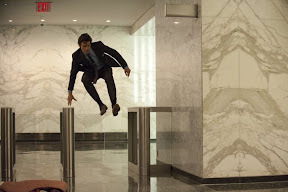 Although the season one cliffhanger ended with an explosive bang and there’s plenty of cat burglar intrigue and double-crossing excitement to be had in this superb four-disc follow-up installment, Collar remains a thinking man’s action program, placing more emphasis on the intellectual battle than the physical one, which makes for a refreshing television change of pace. 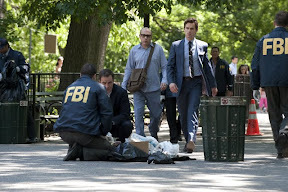 And DeKay and Bomer’s chemistry is better than ever as their bromance evolves into something more akin to a father/son bond when the complicated-by-design second half of the second season careens into yet another game-changing emotional cliffhanger. Unfortunately, some of the other cast-mates suffer by comparison as if cardboard character casualties of a creative writing war to keep us invested in the plight of the cop and robber plot. Namely, aside from the occasional meal or phone call, Tiffani Thiessen’s unfailingly affable FBI wife is as under-utilized as Willie Garson’s Mozzie is increasingly caricaturized to the point where you could turn the number of times he says the word “suit” into a snobby (wine) drinking game if you were so inclined. 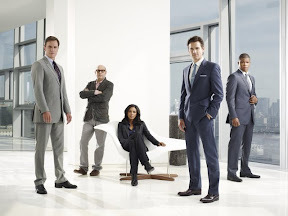 Nonetheless, given the way that Eastin’s series manages to see and raise the USA Network intuitive crime solver paradigm by using the strong foundation of Caffrey’s clue-laced, crime-filled past to supremely entertaining effect in the continuation of TV’s long-running con, once again White Collar finds willing marks in us all.